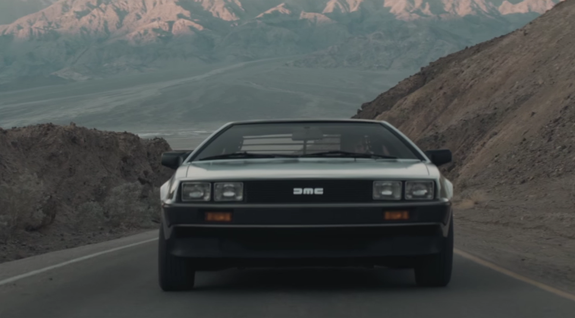 Peak inside the new DeLoreans with this scenic desert commercial - trendistic.com: ever tried. ever failed. no matter. try again. fail again. fail better. Not only is the DeLorean Motor Company producing all-new DeLoreans, it has also produced a commercial. 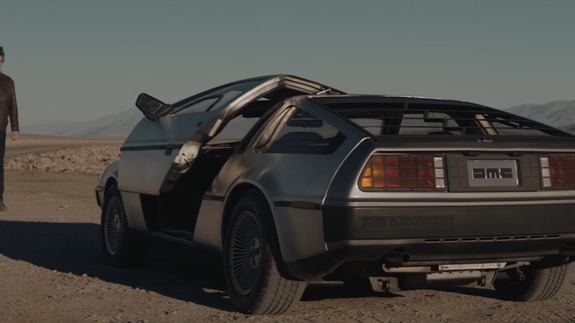 Set in a very scenic desert, the commercial shows a man being welcomed into the DeLorean with the raise of the gull-wing door. He climbs in and slowly drives off down the desert highway. Once inside, we see a few interior details. Note that the speedometer only goes up to 85 mph — not near fast enough to make the jump through time. Also note the automatic transmission shifter.